Applying smart systems to our road network will reduce congestion and save the economy billions, says Fraser MacDonald. On average UK motorists spend over 100 hours a year stuck in traffic jams. The drain on finances is substantial, with the Centre for Economics & Business Research (CEBR) predicting that traffic jams will take £300bn out of the UK economy by 2030. 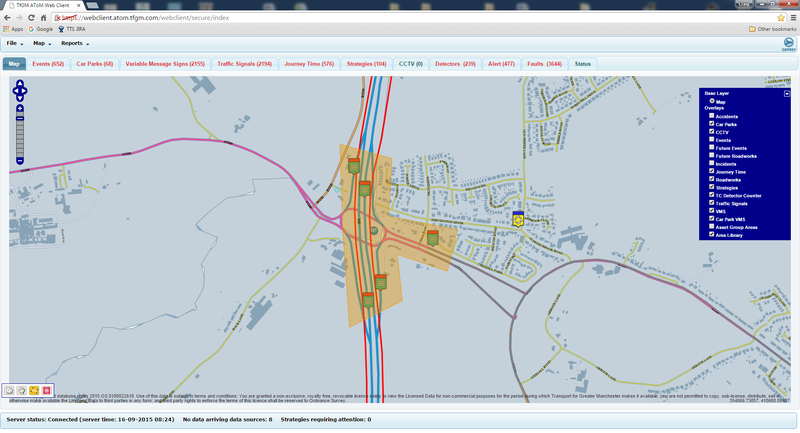 "Osprey is a traffic management system developed by Mott MacDonald that integrates data from numerous sources, providing transport managers with a combined view of conditions across the road network. It has proved a powerful tool in combating congestion." Optimising the use of our road network is a high priority for local and regional authorities. Highways England chief executive Jim O’Sullivan has pledged to get the roads moving more freely and to deliver better customer service. Alongside smarter civil engineering solutions he is looking for new technologies to play a role. At the same time, local authorities face increasing budgetary pressure to operate and maintain road networks that can support and stimulate local economic growth. Digital infrastructure solutions will be crucial in these endeavours, as the rapidly changing conditions on our roads require swift, targeted responses to reduce the impact of traffic incidents. This includes collecting increasing quantities of data to provide fine-grained visibility of network conditions. Ever more sophisticated analysis and decision support tools enable better-targeted interventions, to optimise safety and capacity. 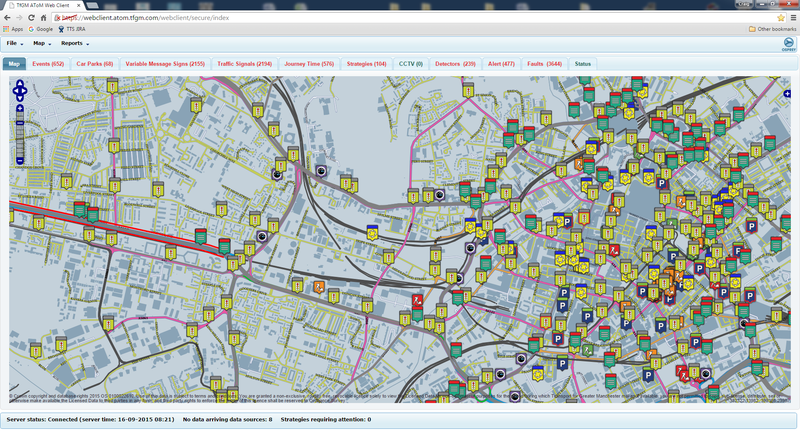 Osprey is a traffic management system developed by Mott MacDonald that integrates data from numerous sources, providing transport managers with a combined view of conditions across the road network. It has proved a powerful tool in combating congestion. Osprey’s user-friendly interface is based on a geographic information system (GIS) map which is populated with data from a wide variety of sources, providing a comprehensive picture of network conditions. Core network status data includes that received from traffic detectors, providing flow and congestion information, as well as journey time data derived from sensor types including automatic number plate recognition, Bluetooth and cellular data. Entrance and exit gates at car parks provide further data into the system, while CCTV allows operators to visually check network conditions. Increasingly the system is providing a means to incorporate environmental data into operations, with pollution levels influencing traffic management decisions, and weather data allowing pre-emptive, targeted interventions. The Osprey Strategy Manager enables users to set pre-defined rules to detect abnormal scenarios, and to automatically enact responses to such scenarios. This allows planned responses to be developed off-line, and to be quickly and accurately implemented when required, enabling more rapid and repeatable interventions when incidents occur. Historic data can be used to define ‘normal’ network conditions. Comparing real time data with this can trigger traffic management actions such as traffic signal timings or setting variable message signs (VMS). It also provides a means of rapidly disseminating information through social media, empowering travellers to make informed decisions regarding their mode of transport and time of travel. Osprey has been deployed in a number of cities and regions around the UK. Joining up these and similar systems to remove partitions between network management areas will realise even greater cumulative gains. Mott MacDonald is already at the centre of several of these initiatives, which will provide a template for future operating models throughout the UK. We continue to integrate Osprey with other systems involved in delivering transport. 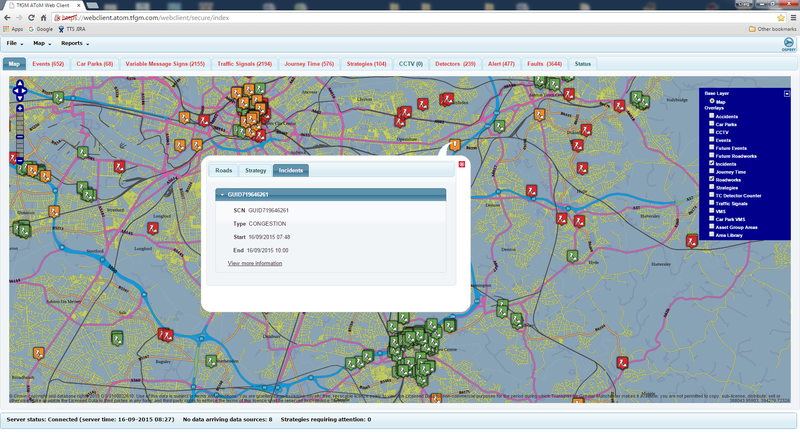 Osprey provides a comprehensive source of real-time data that can be used to improve the operation of public transport. It is also playing a role in delivering network improvements, with comprehensive historic data being used to enhance the planning of major works. Highways planning in England is at a crossroads and a historic turning point.